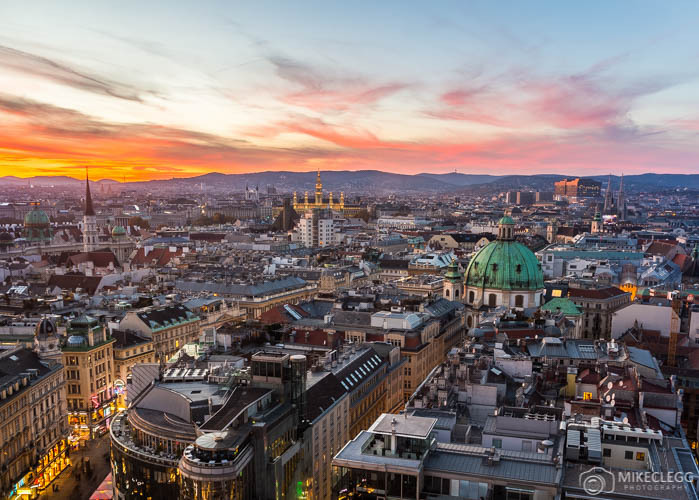 Vienna is an incredible destination to visit in the summer, and there are so many fantastic things for you to do and experience. Here are suggestions of top things to do in Vienna in the summer. Vienna has lots of outdoor pools, as well as beaches around the city. This allows you to cool down in the summer heat. For outdoor pools head to www.wien.info/en/vienna-for/sports/swimming-pools. For beaches heads to Alte Donau station on the subway, and then run right outside of the station so you are walking north along Arbeiterstrandbadstraße. You’ll then find several places to go on the right-hand side. You have to pay to enter the pools and beaches but it isn’t that much. Rathausplatz is directly in front of Vienna City Hall (Rathaus). All throughout the year are festivals and other events. Head to www.wien.info/en/locations/city-hall-square to find out what’s on this summer. Prater is a huge park north of the city centre. As well as a huge amount of green space which is perfect for hiking, cycling, or just relaxing, you’ll find the Prater Amusement Park or Wurstelprater. This park is one of the oldest in the world and has a big Ferris called the Wiener Riesenrad which still has wooden cabins and is a famous landmark in the city. The amusement park has lots of rides for all ages, including bumper cars, roller coasters, a house of horror and lots of others. Visit the website below to see all the attractions. Vienna has lots of hiking trails which are actually great most of the year, although in the summer you will be walking among lush forestry. Some of the hikes are particularly challenging with steep uphill sections, but once you get to the top you will get fantastic views. A few of the more challenging hikes include hiking trail 1, 1a, 2 and 3 which you’ll find in the below link. The hiking trails are marked out and on the link below you’ll be given the starting point. You will then follow signs as you walk the route. The trails range from 7.2km – 15km. Visit www.wien.gv.at/english/leisure/hiking/paths to find out all the hiking paths around the city. Throughout the city are lots of great Parks to relax in. A few of my favourites include Burggarten, Prater Park, Augarten and Stadtpark. 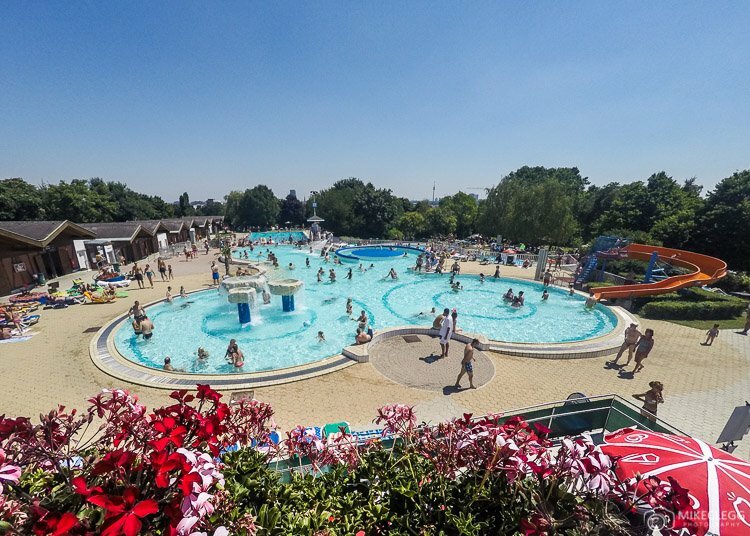 During the summer you will often find lots of other sun seekers sunbathing, having picnics and relaxing in these areas which adds to the atmosphere. Along the Danube Canal close to Schwedenplatz are lots of outdoor bars with deckchairs that open in the summer. These are perfect for relaxing in the afternoon and into the evening whilst having a nice cold drink. One of my favourites and also one of the largest areas is Strandbar Herrmann which has an artificial sandy beach and sometimes music from a DJ. After the cold winter and from mid-spring the Schönbrunn Park and Gardens have some of the most beautiful flower arrangements. These are often in creative twirly patterns and shapes and make for perfect pictures moments. The Park is huge and you could easily spend a good afternoon or longer here. 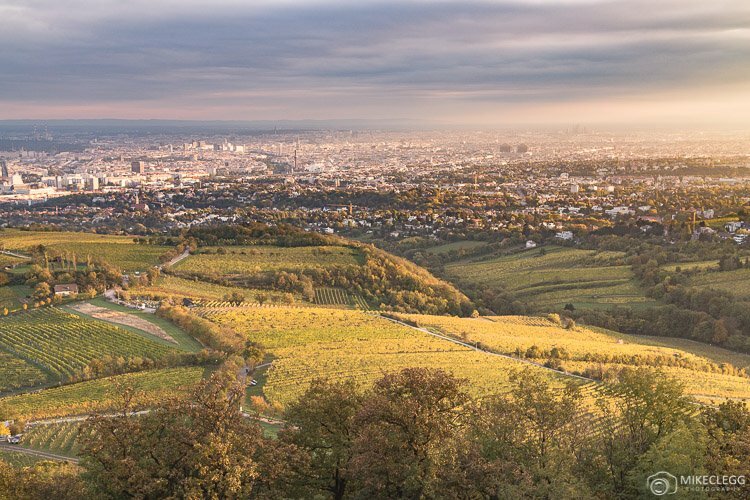 From the top of the hill near the Gloriette you will be able to get perfect views of the city skyline. What makes this park even better? It’s free to enter, and you only need to pay for extras, such as visiting the Palace, Zoo and the many other attractions on the grounds. A fun way to see Vienna is to hire a bike and use that to explore the city. You’ll find lots of public City Bike stands around the city which are accessible using your bank card. They are free for the 1st hour and then range from €1 ph to €4 ph depending on how long you rent it for. Once you have a bike getting around is super safe due to the large amounts of bike trails snaking through the city. Park of the Viennese culture is to dine outside during the summer. You’ll find that many restaurants along the streets have decking and seating areas outside the restaurants, allowing you to have that al fresco dining experience. Every year around May, the Schönbrunn, which is one of Vienna’s most famous palaces, plays host to an outdoor music concert. 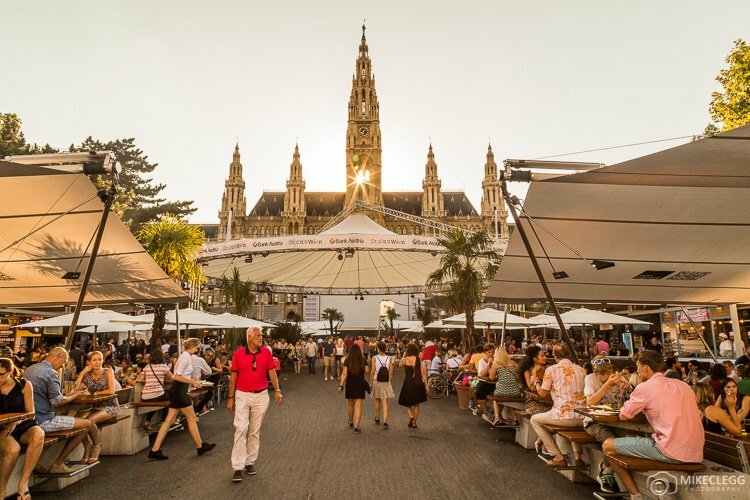 With beautiful classical music by the Vienna Philharmonic, and in a wonderful Viennese setting, this would be the perfect way to start your summer. Visit www.sommernachtskonzert.at to see the programme. 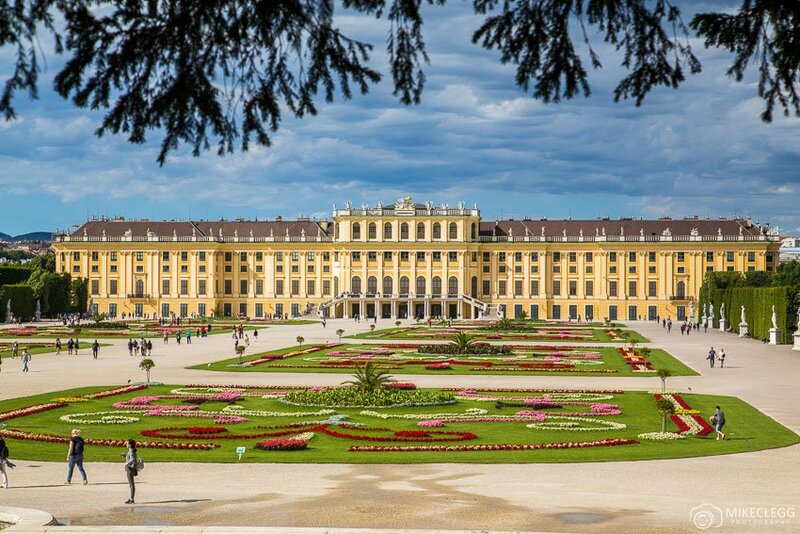 Vienna has a large Zoo located in the Schönbrunn Park and is full of exotics animals and species from all around the world. In the summer you may find the animals basking in the sun whilst you walk around and take your snaps. Head to www.zoovienna.at to find out more. 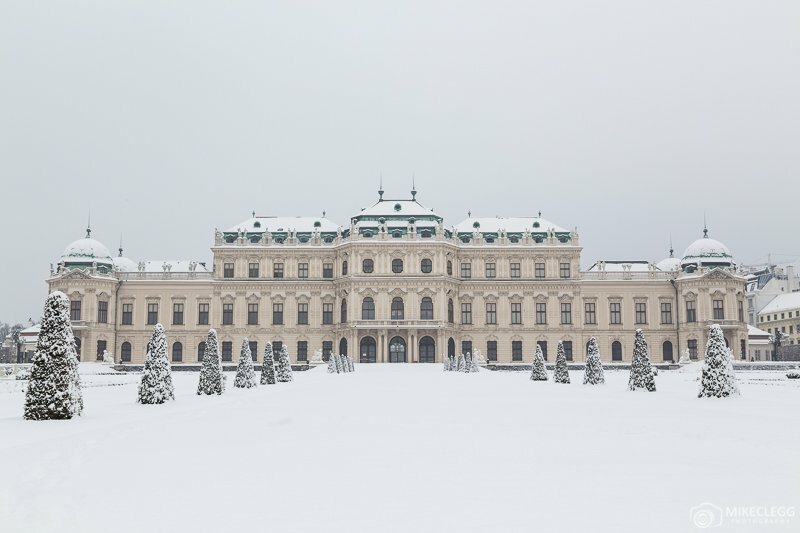 The Belvedere similar to the Schönbrunn, has a free garden area for you to visit. From the top of the north palace, you’ll get views of the city skyline and this park is beautiful to walk around. Also during calm wind free days, you may get perfect reflections on the main pond which is great for photographs. A few stops north on the subway from Vienna’s city centre you’ll land on the Donauinsel. This is a long island in the middle of the Danube River and every summer, often in June, is an open-air music festival with live bands, food stalls and more. Visit donauinselfest.at to learn more. The Gelato (ice cream) in Vienna is absolutely delicious. You’ll find many outlets all throughout the city serving up a large range of tasty flavours. A few of my favourite places include Bortolotti which you’ll find along Mariahilfer Straße and also Zanoni & Zanoni near Stephansplatz. 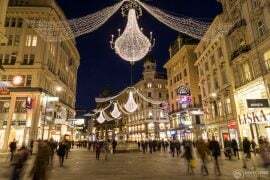 Around Vienna and particularly on the outskirts of the city are Heuriges. These are traditional food and wine taverns which actually produce their own wine and then sell it on site. I’ve been to several of these throughout the city and the food, wine and atmosphere has always been fantastic. I hope this has given you some ideas of things to do in the summer. Do you have any other suggestions? If so please leave a comment below. Hey Buddy!, I found this information for you: "Vienna: Top Things to Do in the Summer". 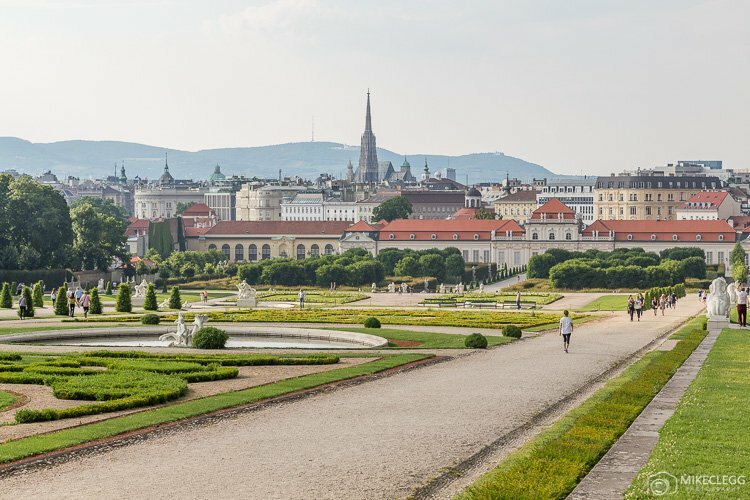 Here is the website link: https://www.travelanddestinations.com/vienna-top-things-to-do-in-the-summer/. Thank you.